We are Terry and Karen Lippincott, proprietors of Lippincott's Garage. Our shop is a small, family owned business located in Sinking Spring, Pennsylvania. We began working on Jaguars in 1966 out of necessity because we owned a '62 E-Type and couldn't afford to pay anyone to fix it! When it came time to rebuild the engine, we saved our money, bought a factory Jaguar shop manual from England, and rebuilt the engine in the basement garage of our home. Soon Terry was working on other peoples' Jaguars during nights and weekends while he worked full time days as a machinist. Our reputation for doing quality work at very competitive rates allowed our business to grow quickly. By 1972, we had outgrown the basement garage and had to expand. We sold our '62 E-Type and used that money to build a garage behind our house. 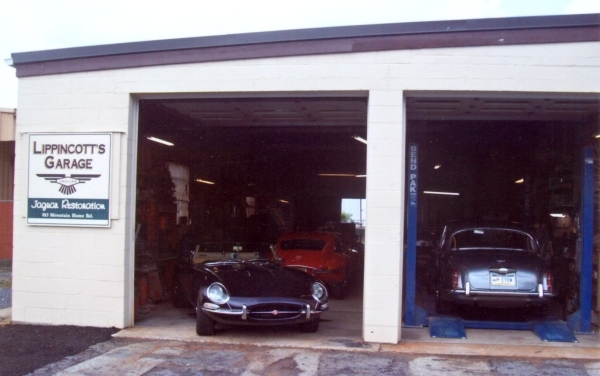 In 1977 Terry went full time working on Jags and we moved the business to the current location a year later. Terry does the bulk of the repair and restoration work in the shop, and he oversees a small support staff to handle special aspects of shop work. Terry's right-hand man is Phil Wright. Phil, an archaeologist, stopped at the shop a number of years ago to ask Terry how much he should pay for his Dad's XK140. Terry's answer was "nothing". Phil did buy his Dad's XK140 and a short time after that bought a tired XKE. 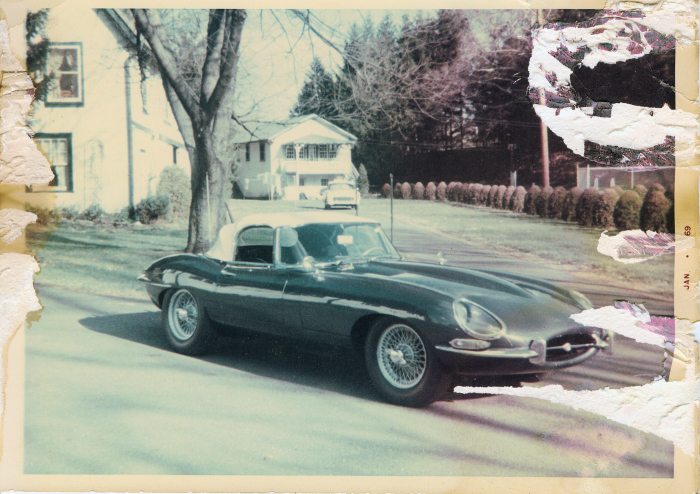 Phil made frequent trips to the shop with how-to questions and to-do work on his XKE. During some of Phil's visits Terry would ask him to lend a hand once in a while and he told Phil that if he continued to hang around he'd put him to work. Phil has been the right (or Wright) hand man for 30 years. Terry's left-hand person is our daughter Stephanie. About 5 years ago Steph was between jobs and at that time Terry was in need of someone to do grunt work. Since Steph was used to working with horses, working hard and getting dirty was not a problem. She has gotten well past grunt work and is capable of disassembling engines, rears, and suspensions as well as being Terry and Phil's helper. I am Karen, Terry's wife. About 20-plus years ago I needed a change of jobs and Terry needed someone in the office to handle the phone. I was not a secretary or a parts person but have had lots of on-the-job training. I'm the phone answerer, gopher, bathroom cleaner, and sort-of secretary. All together we are Lippincott's Garage. We still own vintage Jaguars and enjoy driving and racing them regularly.